Endgame fun with custom made dimensions. That’s a couple hours worth of experiments and many days worth of progression into the modpack. 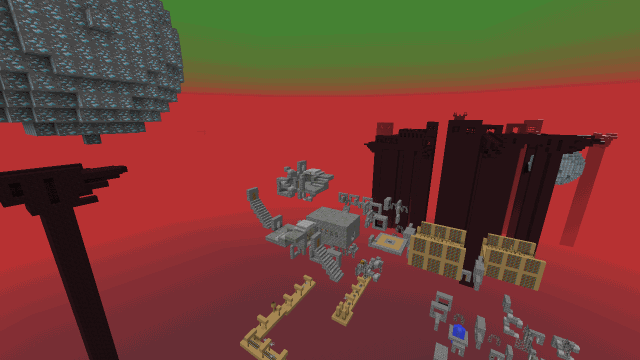 This entry was posted in Minecraft Skyblock Server News on January 25, 2015 by heatseeker0. By the time you’ll be able to make these dimensions and keep them open you won’t care about diamonds much. Nah diamonds are amazing ill always care about them. Its good to care about the little things in life.